The welding of plastic or a process in which thermoplastics can be joined without problems has existed for a long time. One of the most revolutionary methods is ultrasonic welding. Ultrasonic welding machines use sound waves rather than heat or electricity to weld two different components. This allows a weld that does not require welding materials, binders or adhesives to keep two materials together. The process was originally discovered in 1963 when Robert Soloff, the founder of Sonics & Materials Inc. began experimenting with an ultrasound probe. During his experiments, Soloff discovered that sound waves were not limited like other plastic welds. Instead of requiring the material to be in direct contact with the applicator, an ultrasonic welder could make sound waves run around the corners and sides of a rigid plastic. This allowed the sound waves to find the point of contact that needed to be welded, allowing an ultrasonic weld to access much smaller and narrower areas than other forms of heat sealing. 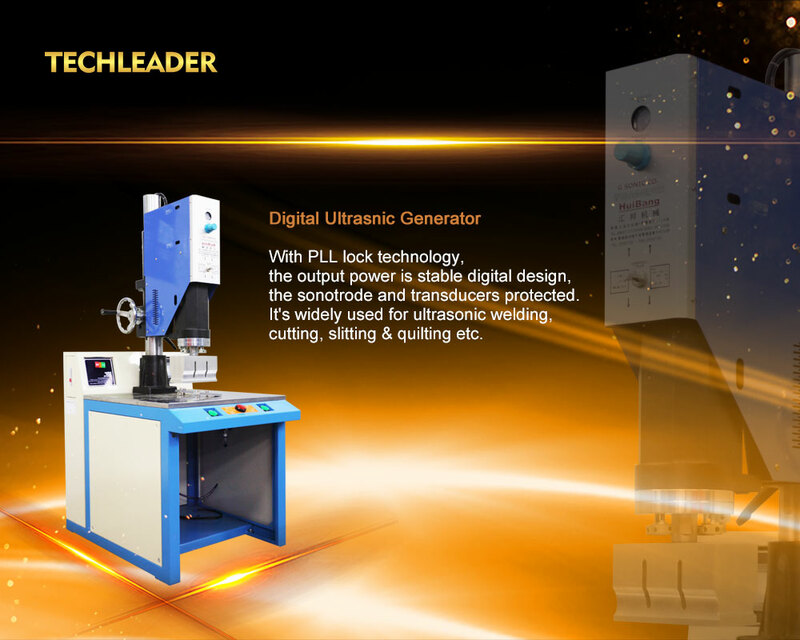 Ultrasonic welding machines from Huizhou Shengyang Industrial Co. Ltd. use sound waves of high frequency. During ultrasonic welding, a standard electric current of 60 Hz is converted into high frequency electrical energy into a welding machine and then into high frequency (ultrasonic) vibration energy. An amplifier further increases the amplitude of the sound waves and transmits them to an acoustic tool called horn or sonotrode. The speaker allow for transmission of vertical vibrations to layers of material that are under high pressure at the junction, at speeds of 20,000 to 40,000 cycles per second. The resulting heat of friction causes the plastic layers to melt and flow together. Upon cooling the material forms a strong molecular bond. Since then, ultrasonic welding has found a worldwide application in thermal sealing and in the welding of plastics. In fact, many cell phones, consumer electronics and toys use this automated alternative to adhesives or screws. Because ultrasonic welding does not use brazing material or emit heat or steam, it is a very user-friendly and efficient method of thermoplastic welding. Ultrasonic welding, like many other plastic welding methods, can be done in a second. This allows an equally fast material bond, but ultimately saves costs compared to other heat sealing methods. Ultrasonic welders can also easily adapt to very specific products, so that many parts can be welded, which would be too expensive to process due to larger and more bulky processes. In addition, when using sound over heat or through chemical bonding, companies do not need to use exhaust systems or other expensive forms of protection to remove heat or steam generated by the welding process. In view of the lack of extraneous material that must be applied, an ultrasonic welder can be used in computer and medical applications where foreign bodies can have catastrophic consequences. This type of versatility and speed has made ultrasonic welding one of the most used methods for joining plastics.